Empuriabrava, located in the region of Comarca del Alto Empordá in Gerona, is one of the most beautiful and picturesque municipalities of Catalonia; it is a city built between more than 24 km of navigable canals with 5000 moorings that comprise the most important and spectacular residential marina of Spain, which is why it is popularly called the Spanish Venice. 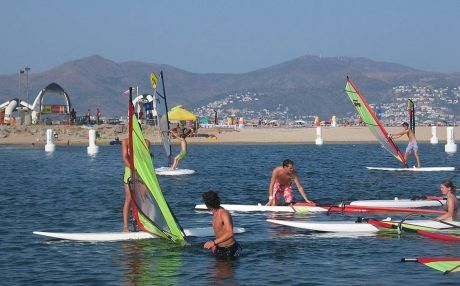 The municipality is located in Golfo de Roses, and is surrounded by Parque Natural de las Marismas del Emporda, where you can do many fun activities during the holidays. 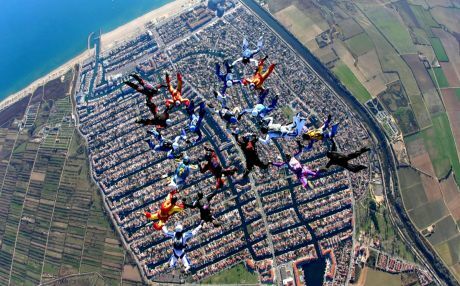 Apart from its beautiful marina, Castelló d'Empuries has more than 8 km of endless beaches that are another of its great attractions, specially the charming Playa Empuriabrava, a beach with more than 1,500 m in length bordered by a beautiful promenade with terraces and restaurants. Not everything is sun and beaches in Empuriabrava, a place where to enjoy a summer of authentic luxury in its good restaurants, terraces and stores of the best brands, besides the endless options of fun activities to do. 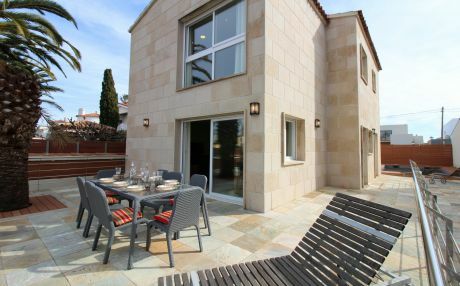 Our villas in Empuriabrava provide the freedom and comfort necessary for your whole family. What earlier was a simple marshy land formed by practically 5 farms belonging to landowners who grew rice, today has become a major tourist destination with more than 7000 inhabitants. There is no better way to know Empuriabrava and its surroundings than to rent one of our holiday villas located in the best areas, both on the canals and on the beachfront. Boat trip on the canals: definitely, the best way to get to know Empuriabrava. You can easily rent a small boat and tour the beautiful canals. Castello d'Empuries: a beautiful town with a medieval atmosphere near Empuriabrava. Here you can visit the 13th century Basilica de Santa Maria, Convento de Santa Clara, Creu del Terme or Creu del Fossar, the walls or Barrio Judío. Tour Parquet Natural Aigüamolls: through 5 different routes, you can easily cross one of the largest wetlands in Catalonia, featuring a protected area of 4,866 hectares that houses a rich ecosystem and is the habitat of a very important number of migratory birds. Visit the ruins of Empuries: this region was a key place for the Greek and Roman civilizations. In Empuries we find a very important archaeological site where you can visit the Greek city. 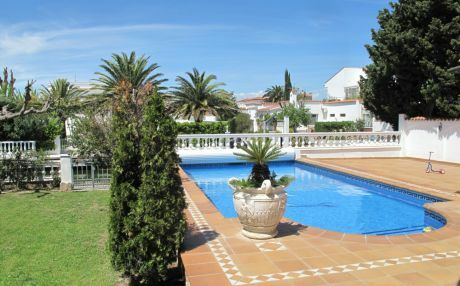 If you are looking for a holiday villa in Empuriabrava, then you have come to the perfect place. 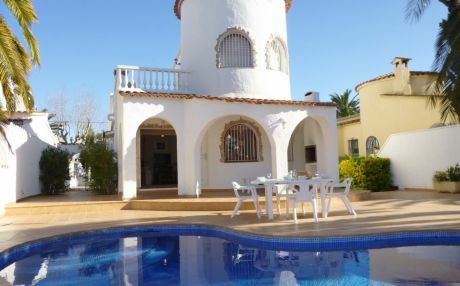 On Tripkay.com you will find all types of accommodation in Empuriabrava, such as villas with swimming pool, bungalow with communal swimming pool, beachfront houses, and much more. You only have to make use of our filter feature and choose the ones that best suit your needs, such as your desired number of rooms, accommodation with dishwasher, air conditioning or a pet-friendly house. Once you have made your choice, you can book quickly, simply and safely. 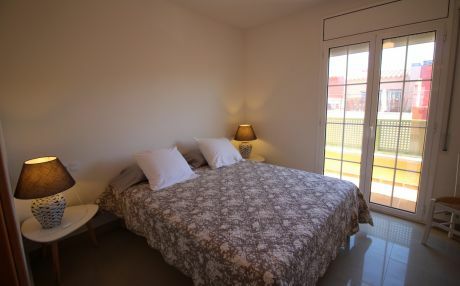 Go and book your holiday villa in Empuriabrava with Tripkay.com.